I used cartridges Forever Young and Pink Journey. So excited! Kim got the mail from me just two days after I mailed it. 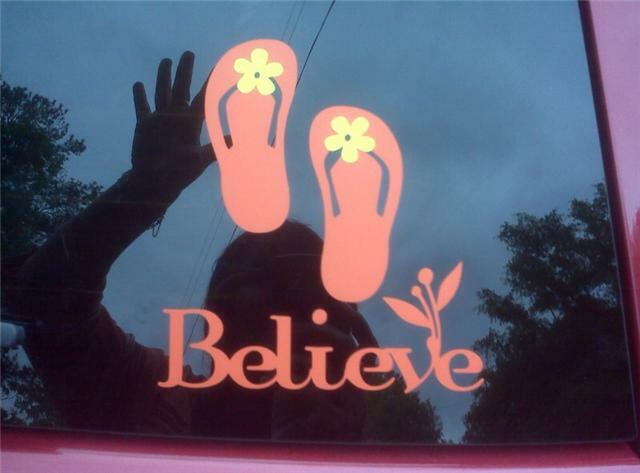 She decided to just have "Believe" with the flip flops. 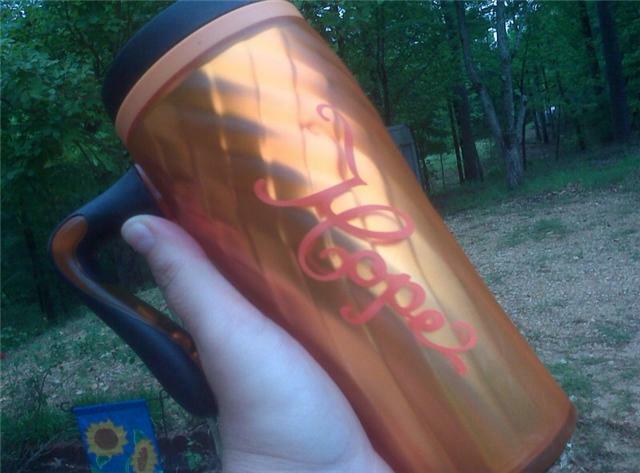 In the pictures above you see she put the word "Hope" on her favorite to-go coffee mug. That turned out really cute. She has yet to find a place for the word "Love". But as soon as she does, I'll post it here.